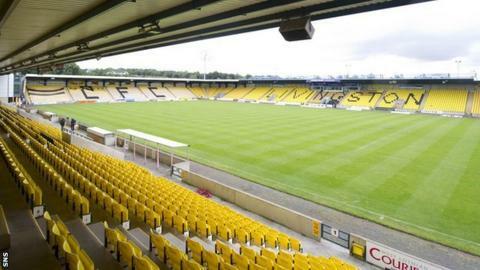 Championship side Livingston want to become the latest Scottish club to be fully owned by their community. Clyde, Dunfermline Athletic, East Stirlingshire and Stirling Albion are already community-owned clubs. Annan Athletic, Ayr Utd and Motherwell are moving towards that goal and Livi see it as a way out of financial woes. Livingston vice-chairman Robert Wilson said: "We hope that, working with West Lothian Council, we can provide a bright long-term solution." Supporters Direct Scotland were involved in talks in October that led to the fresh investment required to resolve problems at the club. Now Livingston, who have twice been in administration since joining the senior leagues as Meadowbank Thistle in 1974, have asked the fans organisation to explore a route towards becoming community owned. SDS head Paul Goodwin said: "The current board at Livingston has invested heavily to save the club following its most recent difficulties and they have to be applauded for doing so. "We are delighted that they have asked us to help them build a long-term solution with the wider community at its heart." Goodwin said "all the interested parties in West Lothian, including the council," would have a role to play. "We firmly believe that a solid business plan developed with all interested parties through a community interest company can offer the best scope to build the club for the future," he added. "We have been working with the club since October following the unexpected departure of the club's then CEO and have expressed concerns about the finances of the club. "The recent audited accounts show a loss in the last year in excess of £360,000, confirming that the club needs a radical change of course." Two of Scotland's community owned club, Clyde and Dunfermline, have previously suffered financial difficulties, while East Stirlingshire are presently ground-sharing with neighbours Stenhousemuir after deciding to close Firs Park in Falkirk because of the prohibitive costs of refurbishment. Of the clubs moving towards a community model, Motherwell have also previously been in administration. Hearts, who are presently in administration, aim to move towards a community model, while a group of Rangers fans - Rangers First - are hoping to persuade the Ibrox club to adopt the model following the League One champions' recent financial problems.